This small museum right in the centre of Alesund describes the city’s journey through history, and its cultural story through various permanent exhibitions. These exhibitions cover the great town fire of 1904, fisheries, regional boats and World War II. There’s also a beautiful model of 1898 Alesund. Artefacts, photographs and paintings are the main storytelling props here. 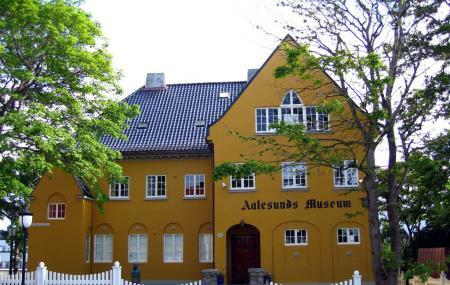 The Fisheries Museum is a part of Alesund museum, though it’s not located here. Check if the ticket price will include entry into the Fisheries Museum. How popular is Alesund Museum? People normally club together Art Noveau Centre and Alesund Harbor while planning their visit to Alesund Museum. Great museum. If you are interested in history of Alesund, this is the place to go. Very informative and interesting. My favorite museum of our trip to Norway. If traveling as a family, there is a map with stickers where you have to place the items in the correct rooms, so the whole family is engaged. It looks small on the outside, but the place is crammed with information and items, such as an original telephone from Alexander Graham Bell which was used to make the first phone call in Europe. Highly recommended. A lovely little museum well worth a visit. Great little museum to spend an hour. Attic and basement displays were the best.